I am based in Dunedin at the Donald Beasley Institute where I am a researcher. The Institute focuses on research and education in the disability field. I have worked in the disability field for my entire working career, variously as a teacher, psychologist, advocate and researcher. I became involved with CCGT as a researcher and after realising that People with High and Complex Needs were a group of people who were being consistently ignored and at times hidden from society and the every day life of being a New Zealander. I was honoured to follow the footsteps of Dr Anne Bray who had been instrumental with Jan Moss and Karen Forrester in setting up the Complex Carers Group back in 2003, and was asked to join the group. The Complex Care Group is very important to me, because of the remarkable families who live their lives with their severely disabled family member with little recognition and seemingly inadequate support from the government and the wider community. I consider it a privilege to be part of these families and be alongside them as they work to achieve the best possible lives for their sons and daughters. I passionately believe in the task to bring these families, and their sons and daughters back into the wider community, to be an everyday part of how a community functions. For this to happen we must listen to the voices of these families as they represent their sons and daughters’ rights and needs. My name is Lisa Martin and I am delighted to be the new Director of Complex Care Group. 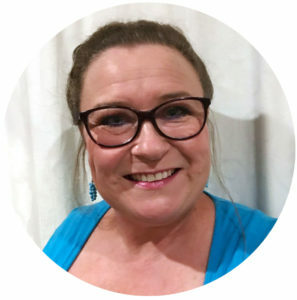 I have taken over from Jan Moss who has worked tirelessly for so many years helping establish Complex Care Group as the ‘go to’ organisation for information, advice and support for those with very high and complex needs. I am the proud mother of two adult children – a daughter Holly (25) and son Kurt (24). My husband Todd and I have been married 30yrs – Todd is a police officer and we live in Auckland. Our son Kurt has autism, intellectual disability and epilepsy. He lives at home with my husband and I. He attended a special school for most of his schooling and now he attends a day programme 3 days per week. Kurt is non-verbal and severely disabled – and is a very much loved member of our family with his own unique communication style and personality. Our daughter Holly moved out of home a year ago. She is completing post graduate study at the University of Auckland and is specialising in the neuro-sciences. Holly is also the Personal Assistant for a medical doctor who specialises in chronic pain management. I was previously CEO of Disability Connect for 7yrs and I am delighted to join Complex Care Group as Director. I applaud the amazing work of Jan Moss and the board in establishing Complex Care Group and progressing this cause over many years. Jan is a very effective advocate for the high and complex needs community and I will continue and expand on the work she has established. My daughter Becky was born in 1983 and has a rare epilepsy syndrome resulting in uncontrolled seizures, intellectual disability and autism. Navigating the “system” and trying to find an appropriate, skilled service in both health and education has been a nightmare. We didn’t fit the boxes and our family has suffered greatly. In 2001 I was fortunate to find others who were passionate about issues faced by this unique population and in 2002 with the help of the Ministry of Health, Donald Beasley Institute and The Wilson Home Trust the then Complex Carers Group was born. I feel privileged to be the first co-ordinator. A listening ear and support from people who have experience or a real understanding of the unique issues we face. Hello, my name is Gillian Wright and I live in central Auckland with my two disabled sons, aged 21 and 24. I don’t think I heard of Complex Carers (now named Complex Care Group Trust) until a real crisis arrived in my life and that of families with similarly aged and disabled children. We discovered that the respite facilities we were using did not cater for people over 16 years. We parents formed a lobby group to get some action on this from the Ministry of Health, and Complex Carers were there at our meetings to support us and offer advice, along with other concerned groups. We were successful in this and the Ministry set up more places for out-of-home respite for older children and young people. There is still, however, a need for more of these services for families. Complex Care Group is important to me as it seems to be the only such group that provides support and advice for families who care for children and young people like ours. I would advise people to become members to access the expert advice and support that Jan, our co-ordinator can provide. There is a regular newsletter as well, to keep us up-to-date with what is going on. It is extremely difficult and time-consuming to try and navigate the health, education and welfare systems without expert guidance from someone who has been there themselves. Stakeholders need to be aware that families are the experts on their particular disabled person and that we appreciate being listened to and working in partnership with government agencies, service providers and paid carers.